As you play, recruit characters, and increase their power, you’ll earn XP. When you have gained enough XP you’ll go up in S.H.I.E.L.D Rank. As your Rank increases, you’ll unlock various parts of the game and earn Iso-8! What does S.H.I.E.L.D Rank unlock? Story events will require S.H.I.E.L.D Rank 2. Alliance membership will require S.H.I.E.L.D Rank 3. 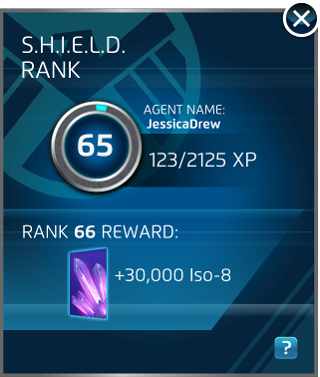 Versus events will require S.H.I.E.L.D Rank 5. Over time, we’ll be adding new features to the game that will unlock with higher S.H.I.E.L.D Rank! You’re rewarded for things you already do in game! You earn more XP for rarer characters and opening more valuable packs. 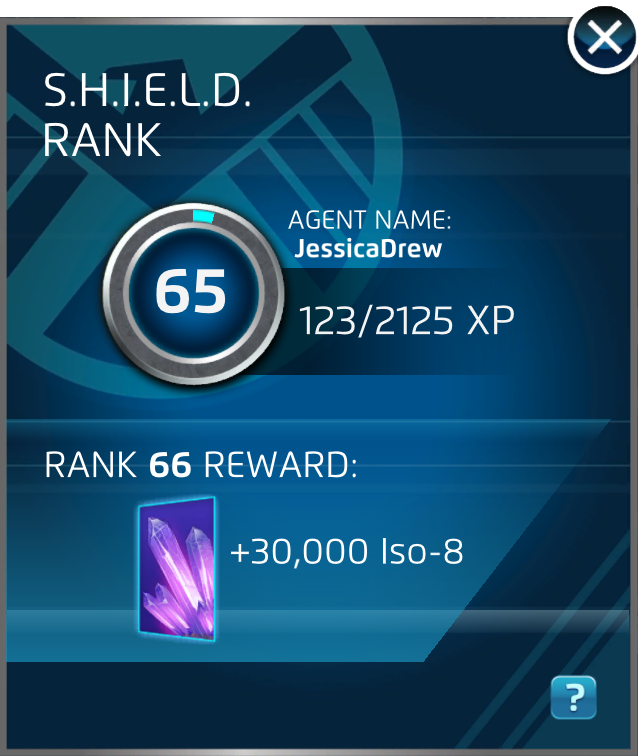 What Rewards do I get for increasing my S.H.I.E.L.D Rank? After you reach a new S.H.I.E.L.D Rank, you will earn Iso-8. In the early levels, the amount of Iso-8 you will earn will be anywhere from 500 to 5,000. At the later levels, the amount of Iso-8 you will receive will be as much as 150,000 for each S.H.I.E.L.D Rank! What is the highest S.H.I.E.L.D Rank? The highest S.H.I.E.L.D Rank you can achieve today is 200.